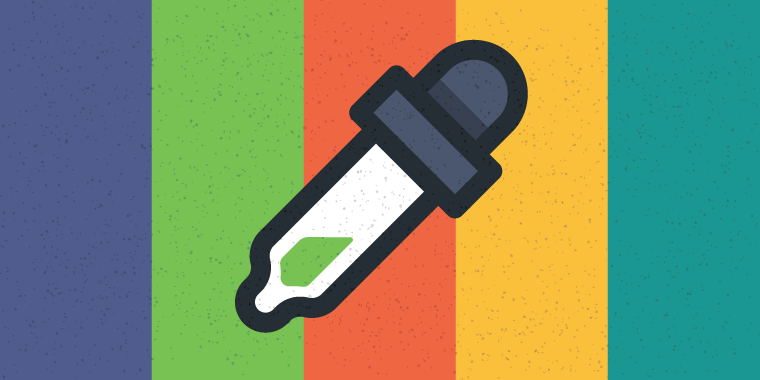 Many e-learning designers struggle with choosing color schemes for courses. There are so many potential combinations that this decision can seem overwhelming. Of course, if your organization has strict brand identity guidelines or style guides that dictate which colors you can use, this issue is likely less of a problem. Nevertheless, it’s still a good idea to have a basic understanding of popular color palettes, and when to use each one. Bright colors are exactly how they sound: bold and vibrant! They are typically vivid, from sky blue to sunshine yellow to fire-engine red. These fun colors make quite the impact, so use them sparingly—think small pops of color here or there—to capture interest or highlight information. Brights tend to work well across a broad range of subjects; however, they might not be your go-to for more serious or somber topics. Jewel tones are deep, lush color tones that resemble the colors of well-known precious and semiprecious gems. Examples of well-known jewel tones are sapphire blue, ruby red, and emerald green. Jewel tones are a bold, classic palette often associated with luxury and richness. If you’re looking to incorporate color in your design but aren’t sure about using brights, jewel tones may be the palette for you. The colors are easier on the eyes than brights, so they can be used more freely throughout your design. Earth tones are a warm palette of shades consisting mostly of browns, tans, grays, and greens. They are inspired by, you guessed it, the planet: moss, rocks, trees, dirt, plants, etc. This is a great color combination to consider when your subject matter is nature, the environment, or the earth. Choose shades that contrast well with each other to avoid a bland look and feel. Pastels are light colors that have very low saturation. Light pink, baby blue, and mauve are examples of popular pastel shades. These color schemes work best with courses that have subject matter or a topic that is “calming” or “soothing.” Remember, this color scheme is not bright or bold, so it may be hard to highlight information or call attention to certain items unless you use another color that pops a bit more. Grayscale is also known as “black and white,” and this color combo consists of black and various shades of gray, from dark to light. Grayscale is a versatile neutral palette to fall back on time and time again. For serious or uber-professional subject matter, grayscale may be the way to go, as it provides a colder, more impersonal feel. One tip: If you go with a grayscale palette, things can become very bland in a hurry, so you might want to consider using at least one bright color or jewel tone to spice things up and keep it visually interesting. And there you have it, five great color palettes to consider next time you’re designing an e-learning course. Remember, certain colors work particularly well with certain subjects (for example, green for environmental topics, yellow or orange for safety-related courses, etc. ), and the colors you use can influence a learner’s mood (Read more: The Color Effect: How Your Palette Affects Your Learner). Still need more tips on which color palette would work best for you? Read this article: 5 Ways to Choose Color Palettes for E-Learning. Did I leave out any colors or combos that you love? Let me know in the comments below! I like to go with a monochromatic color scheme. I like to use different versions of blues, teals or oranges. It adds variation but then it isn't distracting. Thanks for sharing the great tip, Christine! Is there a way to make your own saved theme in Storyline? Hi Elizabeth, Great quetion! Yes, you can save your own custom theme in Storyline. You can make a custom theme by either going to the design tab or to the view tab then slide master (slide master allows more customization so i reccomend going there). You can edit existing themes or you can create a brand new one of your own. Often times I find a cool background graphic and add it in, then add shapes for easier reading text boxes and media backgrounds. After you create your theme click on "themes" and on the bottom "save current theme" so you can use it for future projects. You can also use a color palette generator to create a scheme from a stock photo. logo or other image. this can help with consistency such that training materials conform with other content and collateral materials. This is a great article, Nicole. Thanks. I always have a hard time figuring out color schemes when I get started. I'm more of a "I'll know what I like when I see it" type of person. But this gives me a good starting point for putting a scheme together that I can then tweak. I'm always looking for great ways to get started.